Q: What is a gasket? Refrigeration gaskets are a soft, pliable rubber material made of PVC, neoprene, santoprene, or silicone that help provide an airtight seal around the edges of a door or drawer to maintain temperature and energy efficiency. Q: When should we replace our gaskets? The life duration of a gasket varies greatly based upon a number of factors. If you see any signs of tearing, ripping, warping, hardening, or cracking, the gasket will fail to hold its seal and you should call to get it replaced immediately. Other signs of gasket wear are not as obvious, such as the unit running constantly to compensate for the losses in temperature, substantially raising your electric costs. The simplest solution is to have one of our expert estimators give you a free inspection, they will let you know which units are in good condition and which gaskets are in need of replacement. The inspection and quote is always free, you will only ever pay for the parts you order and any installation labor you need. You can always be certain you're paying the lowest price possible when you go through Gaskets-N-More. Our unique ability to inspect, manufacture, and install everything in-house means you don't have to pay additional costs for middle men like you would with larger refrigeration companies. If you need additional parts or hardware, our distribution networks allows us to pass on savings to you, resulting in below market prices. Q: When can I expect my order to be finished/installed? Once an order goes into production, our turnaround is usually within 3 business days. If you need something urgently or have an emergency, give us a call and we can help accommodate you​ and your specific needs. Q: How do I install a gasket? Installation may vary based on the type of gasket you need. Some screw into place, others snap into a groove, others are adhesive. 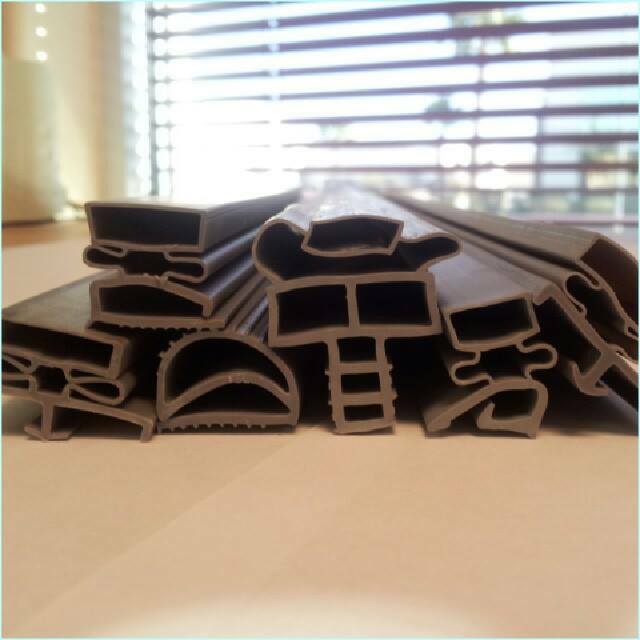 If you are having trouble getting your gasket to seal, make sure the door is clean, then try warming the gasket using a heat source; we use heat guns, but a strong hair dryer, warm water, or the ever reliable Vegas sun should do! If the door is still not closing properly, try to loosen the hinges. Sometimes a new gasket needs more room between the door and frame initially, and will slowly flatten out over time. If you're still having issues, feel free to give us a call! We're always happy to assist. Q: How do you measure a gasket? We always measure our gaskets from the furthest edge to the opposite furthest edge. If you would like to give us measurements for a gasket you need manufactured, make sure to use the same method. Some gasket distributors measure from the middle of the gasket, rather than the edges, so beware of discrepancies. If you are not sure what size you need or don't trust the measurements, give us a call with the model and serial and we can look up the correct size for your unit. Q: How do I measure an offset? Many refrigeration doors, whether on walk-ins or smaller units, are not flush with the frame of the unit. These are offset doors. The size of the offset will affect what hardware will fit on that door. In order to know what hinges, latches, or door closers fit on a particular door, we will need to know the measurement from the frame of the door to the surface of the door itself. This measurement usually varies from 7/8" to 2-1/2". We will need to know to the closest eighth of an inch what the offset is. 1. Call or email us with any door numbers that you would like to get gaskets replaced on. We can check our inventory using the door number and get your order processed quickly. This is often the quickest method to getting the replacements you need. 2. Call or email to have an estimator stop by your location and check the gaskets, they will write up anything that looks bad and we will send you a quote for the replacements. This method is best if you are not sure which gaskets need replacement and which ones are still in good condition. Q: Do you have contract pricing/scheduled walks? Yes. We often set up contracted pricing with large-quantity and consistent buyers. We also have monthly or bi-annually scheduled walks available, to help companies keep all of their hardware working properly. Contracted pricing and scheduled walks are agreed upon based on the quantity of work you need and the frequency of orders. Please contact us for further information.